I want to start out by saying that I am definitely not an expert in Instagram (especially with the new algorithm kicking our butts).. but who really is, right?! I recently reached 10K followers on my Instagram page, and I wanted to share my strategies to grown Instagram followers and reach this milestone! I know that this may be nothing for some of you, but I also know that there are many of you that are striving to get that K, and this post is for you! I've been blogging for almost a year and a half now, and I am so excited to say that I finally reached 10K followers on Instagram. This has been a huge milestone that I have been working really hard to reach the past couple of months. I want to make it clear that the number of followers you have does not by any means determine your worth/success/abilities as a blogger, but I will say that getting the K not only gave me a little bit more confidence in my brand, but it also gives my blog/page (in the eyes of followers) a little bit more credibility. This probably goes without saying, but I'm going to say it anyway because its very important. Instagram is a very visual platform, and your followers don't want to see ugly photos. You really have no excuse because the quality of the cameras on smart phones these days is incredible. Almost all of the photos that I post are taken with my Nikon D3100, but some are taken with my iPhone. The key to a good iPhone picture is the lighting, the clarity, and the thought you put into it! I sometimes have to take 50 pictures to have one "Instagram worthy" one. Again, Instagram is a very visual platform and you need to grab the attention of someone that is scrolling through your profile to grow your Instagram followers. I know for me, I can determine whether I'm going to follow someone just by glancing at their feed. You need to determine the aesthetic you are going for (bright, moody, etc) and stick to it! You want your feed to have a cohesive feel to it. The trick is using the same filter, or editing all of your photos the same way. Some apps that I recommend are VSCO, Snapseed, and PicTapGo. In addition to having a cohesive feed, you need to make sure that your pictures flow. Meaning you need to pay attention to the type of pictures you post, and the spacing they have, and make sure you lay them out appropriately in your feed. You don't want similar pictures next to each other or on top of each other. It catches the eye in a negative way. To successfully accomplish this, you need to plan out you posts ahead of time. I recommend downloading Planoy. This app allows you to lay out and organize your posts ahead of time. It has a drag and drop feature, so that you can move your picture around until you have the desired flow. You can even schedule you posts and draft captions inside the app! Consistency is key. You need to be consistent with when you post, how many times a day you post, and with the content that you post! Your followers will become accustomed to when you post, and will start to expect a new post from you at certain times. Don't leave your followers hanging! But I will say, quality over quantity is very important! Do not post an ugly picture just because your followers will be expecting you to post something. An undesirable photo can cause people to unfollow you, and that's the last thing you want when trying to gain followers! Engagement is extremely important if you want to gain followers! First, you should engage with the followers that you already have. Like and comment on their posts, as well as replying to the comments they leave on your posts. Make sure they know that you appreciate their support! You also need to engage with others in your niche. This means following, liking, and commenting on other's that have similar content. I talk about hashtags below, but I contribute a lot of my new followers to engaging with hashtags! Look up hashtags you use on your pictures and engage with the posts that are under those hashtags! I try to do this for about 30 minutes every night before bed, and I'm always surprised at how many new followers I wake up with! 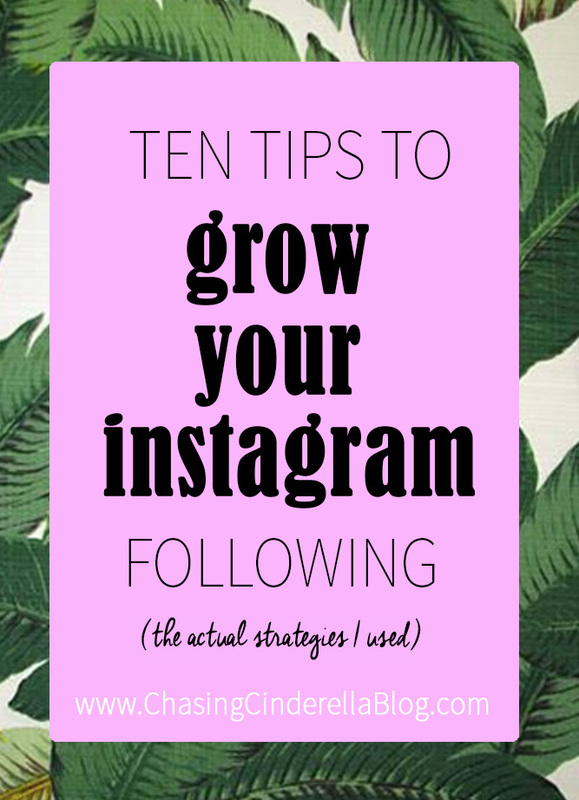 A great way to grow Instagram followers is to know what your existing followers like. There's a website called Iconosquare that can tell you more information that you need to know about you followers! It can show you where you followers are located, what kind of posts your followers enjoy most (outfit posts, food pics, videos, etc), what time they are most active (which will tell you the best time to post), it can even show you which hashtags are working the best for you! There are many other things this app can show you, and they all can help you understand your followers a little bit more! Give your followers what they want, when they want it! I always tag brands and people when they appear in my photos! I tag the brand of clothing I'm wearing, the people in the photo (when there are people other than just me), and if the location I am at has its own Instagram page. By tagging these other pages, they will be notified that they are tagged and it will expand the reach of your photo. The photo not only shows up on their "photo's of you" folder, but it also increases the chance of you being re-posted with your being tagged! This will result in even more exposure to your photo, as well as credibility of your account. I have been re-posted/tagged by brands such as GiGi New York and Draper James, and have received a ton of new followers because of it! A Geotag is like when you check in on Facebook.. it shows your location. You should be geotagging every one of your posts, it's a great way for people to find you! Whether it be the specific restaurant you are at, or the city you are in, every picture should have a location! When you use geotags, your photo will show up when someone is searching that location in Instagram. It's just another way to get more eyes on your profile! Instagram is a social network.. So be social! I have spent hours liking/commenting/following other fashion bloggers, and accounts that are similar to my own. A lot of these bloggers not only followed me back, but have become some really good [virtual] friends of mine! For instance, I feel like I have literally found my soul sister in Gretchen from Living Life Pretty. We have formed a true friendship though blogging and we haven't even met in person (which seriously sounds absurd to me). Y'all need to go follow her.. and see all of my tips put into action! I can always count on Gretchen to leave the sweetest comments on every one of my Instagram posts! The best way to find your blogger bestie is by engaging with their Instagram. Genuine comments on other similar pages will lead to genuine friendships and more engaged followers! 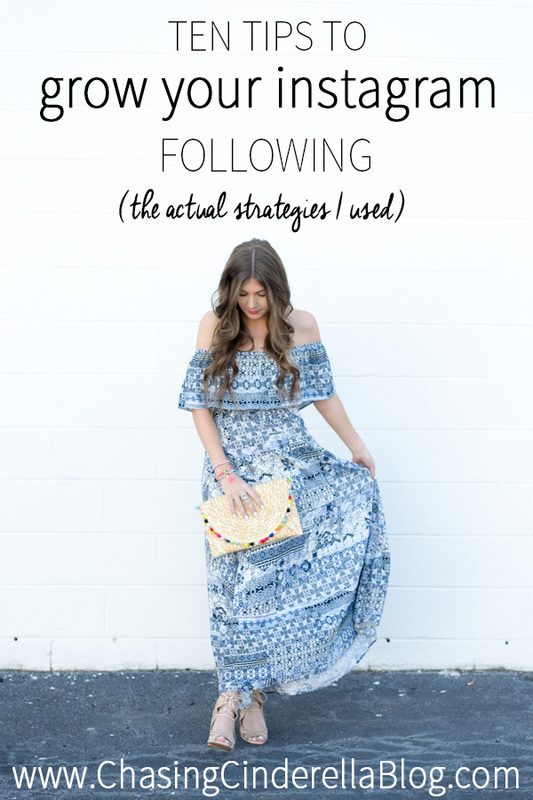 I hope y'all enjoyed this post, and that it helps you on your journey to grow your Instagram followers! Feel free to reach out to me with any questions you may have, whether you leave a comment below, or via email! These are great tips and I totally agree on engagement! It makes such a big difference! Such great tips. I need to try iconosquare! Such great tips for Instagram! I agree that engaging with other people is HUGE! Especially with the new algorithm. I think it definitely helps when I am super active! Great tips, Kelsey! Gretchen is so sweet too! I need to try that Planoy app! Such a good idea. With Instagram changing their algorithm so much lately, it's been super hard to grow. Great tips girl! This was a great post and really helpful. I had never heard of a couple of the apps but I am excited to give them a try! Happy Friday! These are great tips. I'm totally looking forward to trying these out! Thanks for the tips! I'm tired of going to these instagram accounts that buy their followers :( it's discouraging for the ones who are trying to build their followers in a natural way. I could work on my theme a little - i love going to account that use the same filter for every photo ( may try that soon) thank you! I haven't updated my IG in awhile - mostly because of receiving low engagement - but I haven't thrown in the towel yet. Thanks for the tip about hastagging brands! Great way to increase exposure! I'm trying hard to grow my following now that I've started a blog and made my instagram account public. Thanks for the tips! Great tips lady, thanks for sharing! Those are great tips babe! Thanks for sharing! I'll have to try these out and see if they help with instagram's messed up algorithm! It's been so frustrating lately. These are great tips! I use Planoy and find it so helpful!! It's great to see what your feed will look like before you post something new! These are all such great tips! I am all planning everything in advance! everyone of these tips is so perfect! I've found they all work for me too! However I always struggle with planning ahead! I'm such a procrastinator!! These are all great tips! Finding a theme for Instagram is probably the hardest thing for me. This is so helpful. I have been really trying to grow my instagram following lately and have been so frustrated with all the up and down of it all.